Amateur humorist, t-shirt designer, retro action figure junkie, builder of things, podcast addict, failed paleontologist, swell dude, father. 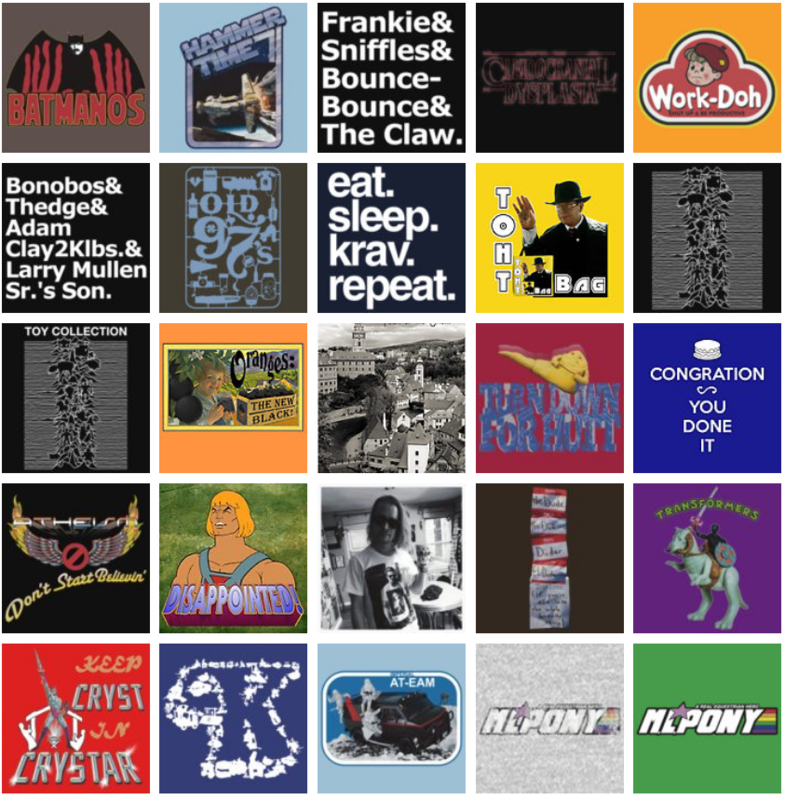 I design t-shirts inspired by the things I love - basically, action figures and puns. Learn more about my t-shirt design process in this interview at From 4-LOM to Zuckuss. There’s an article in the March 2009 issue of Harper’s Magazine about my travels to Star Wars filming locations. 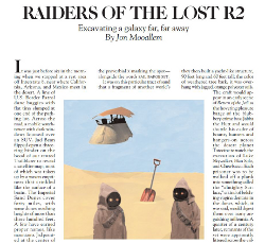 The article, by Jon Mooallem, chronicles the voyages of several Star Wars fans to real-world filming locations used in the movies. I guided Jon to the site of Return of the Jedi's Sarlacc Pit scenes in Buttercup Valley, Imperial Sand Dunes, California. I have a custom-made 12″ action figure made from a 3D digital scan of my head. I was the lucky winner of RebelScum.com's 10th anniversary contest, which awarded me a trip to Gentle Giant Studios in Los Angeles. 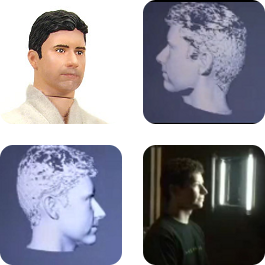 They captured a 3D digital scan of my head and produced a custom 12" action figure in my likeness. Click above to see a video of the scanning process. 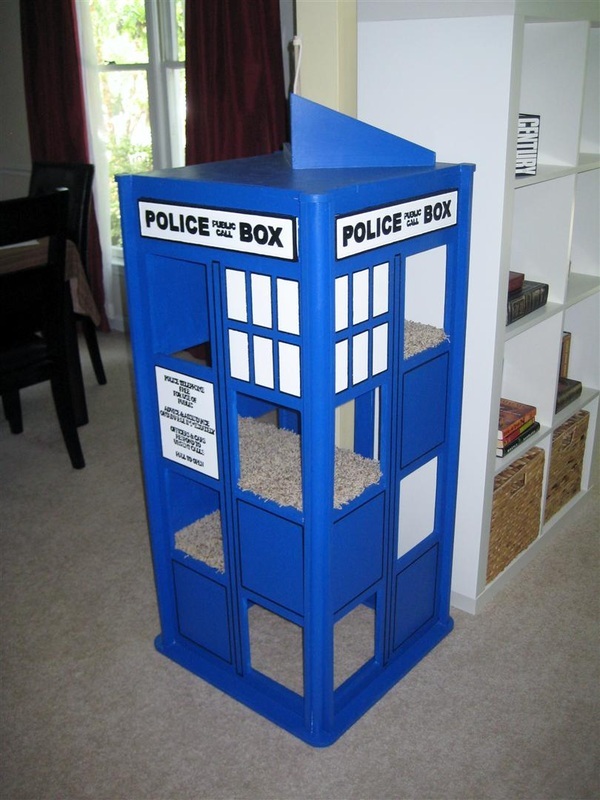 I built a TARDIS for my cats. Yes, really. Click the picture for more info.